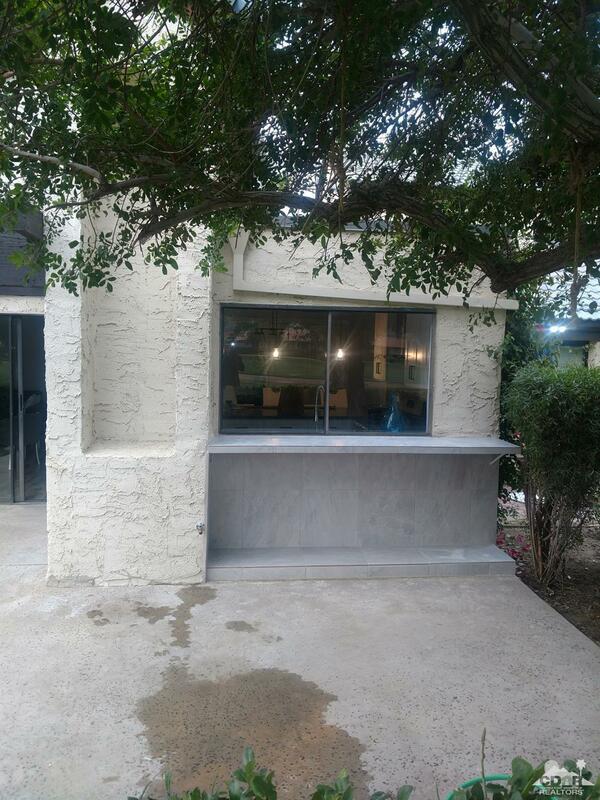 This is an opportunity to grab a golf course unit that has been beautifully remodeled. It's exceptional qualities include bright contemporary colors and surfaces. Kitchen has new white self closing cabinets, gray quartz with an incredible back splash. All appliances are up market Samsung. Bathrooms have custom vanities with tile you will love. Outdoor south facing patio offers mountain views and large green belt which gives you incredible privacy and feels more like a house than a condo. Very peaceful setting on the 5th hole of the popularTaquitz golf course.